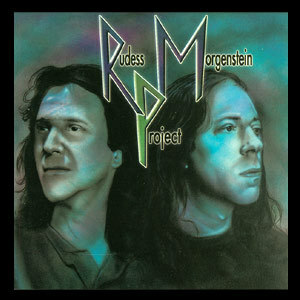 American progressive rock keyboardist Jordan Rudess & drummer Rod Morgenstein collaborated on the 1997 album 'Rudess/Morgenstein Project'. It came about after a power outage during a Dixie Dregs concert caused all of the Dregs' instruments to fail except Jordan's, so he and Rod improvised until power was restored and the concert could continue. The chemistry between them was so strong that they decided to make their own album and subsequent tour. It came about after a power outage during a Dixie Dregs concert caused all of the Dregs' instruments to fail except Jordan's, so he and Rod improvised until power was restored and the concert could continue. The chemistry between them was so strong that they decided to make their own album and subsequent tour.